While vacationing at my family’s summer cabin in the North woods, Wisconsin, there isn’t a great variety of art galleries to visit. About ten years ago one opened up in our little town of Lake Tomahawk. I was pretty surprised and excited when I spotted a giant metal sculpture outside of the gallery. The sculpture is an abstract bending skeletal fish and indicates more modernity than what you will find inside. The gallery is owned and operated by artist, Rob Umlauf. Umlauf is a soft spoken man who will be happy to talk to you about his work or that of the other artists work in his showroom. The work is characteristic of what you will find in most art galleries Up North, and is probably what most people there are looking for. Umlauf paints fish, turtles and mythical sea creatures like mermaids. 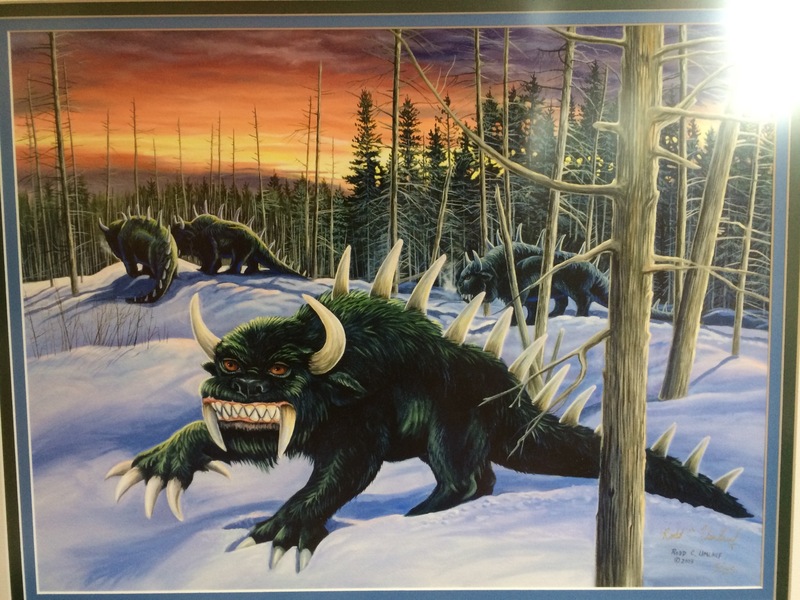 My favorite piece in the gallery is a portrait of a Hodag. 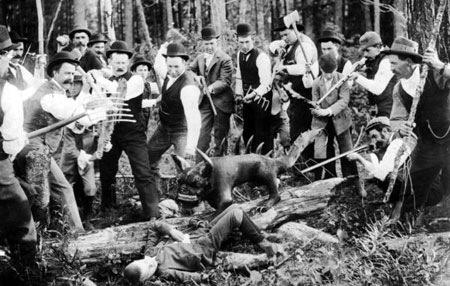 In 1893 a Rhinelander, Wisconsin resident, land surveyor and prankster, Eugene Shepard alerted the media to his capture of this giant beast that required dynamite to be killed. The story grew to gain national attention and when experts from The Smithsonian began an investigation Shepard came clean about staging the whole thing. 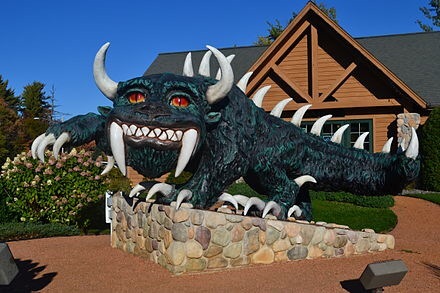 The legend of the Hodag, though, lives on and it’s imagined likeness can be found on T Shirts and other souvenirs. Umlauf’s depiction is almost exactly like the giant statue of the beast that sits outside Rhinelander’s Chamber of Commerce. The Hodag is not North America’sonly mythical creature. Perhaps you’ve also heard of the jackelope?